The cute Micro Bunny wears not just a sweet smile, but also a chic vest and colorful diapers. It also wants to try on all the other charming micro clothes. The Micro Bunny likes to spend time with his little Maileg friends, but loooooves to play with a little human friend. 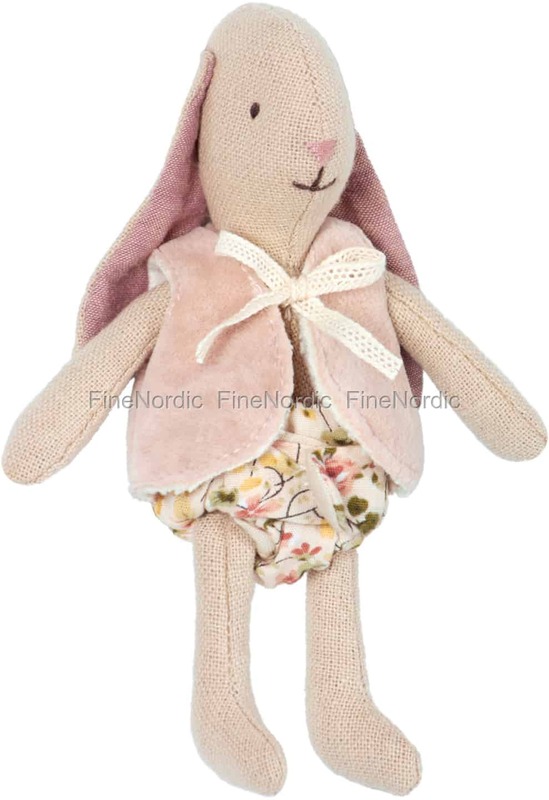 The Maileg Micro Bunny is not only a great addition to your Maileg collection, but also a great gift idea for a birth or a birthday.